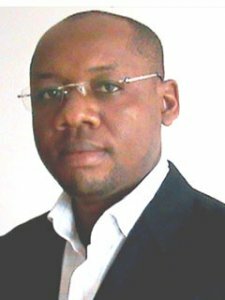 Peter C. Okafor is the Group Leader of the Corrosion and Electrochemistry Research Group and a Senior Lecturer in the Department of Pure and Applied Chemistry, University of Calabar, Calabar, Nigeria. He holds a Ph.D. in Physical Chemistry from the University of Calabar, Calabar, Nigeria. He was a Visiting Researcher (Fulbright Scholar) at the Institute for Corrosion and Multiphase Technology, Ohio University, Athens, Ohio, U. S. A. (2003-2004), a CAS-TWAS Postdoctoral Fellow at the State Key Laboratory for Corrosion and Protection of Metal, Institute of Metal Research (IMR), Shenyang, China (2008-2009) and a TWAS-UNESCO Associate at IMR, Shenyang, China (2010-2013). He is a TWAS Young Affiliate Fellow (2010-2014). He is currently a Member of the Editorial Board of the International Research Journal of Pure & Applied Chemistry (SCIENCEDOMAIN international), ISRN Corrosion (International Scholarly Research Network Publishers) and Global Journal of Analytical Chemistry (Simplex Academic Publishers), and an Associate Editor of Global Journal of Pure and Applied Sciences (Bachudo Science Publishers). He is a member of the Chemical Society of Nigeria (CSN) and the Institute of Chartered Chemists of Nigeria (ICCON).